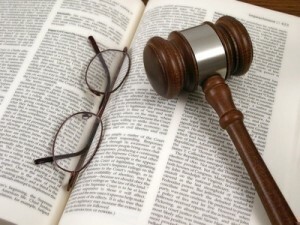 The first steps following a work related injury case are some of the most important steps in the entire case. There are several steps that should be taken from the outset to set the work related injury case up for success against the insurance company and their defense attorneys. While these first steps following a work related injury case are important, they are not always necessary and do not apply to every work related injury case. If you or a loved family member or friend are looking for advice about your unique legal situation, you should contact a Inland Empire California workers compensation lawyer for help. Should you need immediate assistance related to a workers compensation or work comp injury claim or accident, you can call 1 (909) 325-6032 to speak to workers’ compensation lawyer Alexander Napolin. 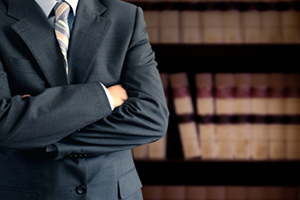 He offers free and confidential legal consultations to discuss your workers compensation injury case. If you prefer, you can visit www.WorkersCompLawyerIE.com to fill out and submit a case evaluation form to Mr. Napolin. He will give you a call or email (whichever your prefer) within a few hours to help you with your case. 1. Report the Injury to Your Employer: This first step is very important. The California Labor Code requires that workers injured on the job in California report their injury to their employer. That might be your direct supervisor, foreman or other person you have been told to report work related injuries to. 3. Demand Medical Treatment: Demand medical treatment for your injury and time off of work to seek that treatment and to recover from your injury. Do not let your employer send you back to work without proper care or time off from work. Make sure they call their work comp insurance company to get you to a clinic for treatment. 4. Call a California Workers Compensation Lawyer: Not all employers, insurance companies and their doctors will treat you fairly. If you fear that reporting an injury will result in termination or discrimination or believe that you will not be treated fairly, it is important to contact a workers compensation lawyer in California to discuss your situation and what you can do about it. Sometimes workers compensation doctors who are employed by the insurance company will downplay your injury to gain favor from the insurance company so that the insurance company sends them more patients. Do not let yourself get caught in this trap. Get a comp attorney who knows what doctors to stay away from in this regard. 5. The Cumulative Trauma Problem: Those suffering from cumulative trauma injuries (injures that happen over time from repetitive work activities) are at the greatest risk of being denied benefits. These types of injuries generally require medical evidence and expert medical testimony to prove. Many insurance companies and their claims administrators will use this fact to deny injuries on the basis that no medical evidence exists to support that a cumulative trauma injury has occurred. If you believe you are suffering from cumulative trauma, you should contact a California workers compensation lawyer immediately. Get Help With Your Work Related Injury Case Today! When you need help with a work related injury case, call workers comp lawyer Alexander Napolin at 1 (909) 325-6032. He give you a free consultation about your unique work related injury situation. If you prefer, you can fill out a case evaluation form at www.WorkersCompLawyerIE.com and Mr. Napolin will give you a call back within just a few hours. Do no hesitate to get the advice that you need from an experienced and trusted Inland Empire workers compensation lawyer, call Mr. Napolin today! When you call, there is absolutely no obligation to retain Mr. Napolin and his firm. And, if you do decide to hire Mr. Napolin to pursue your work comp claim, you only pay him if he recovers money for you on your claim! The insurance company has attorneys working for them. Get one on your side!